Maybe Boris's prizewinning pome was the last straw for the generals? They couldn't bear to see what a laughing stock Erdrogan is internationally? lily wrote: J-P, I do feel for you and Mrs J-P. Everything will be all right soon and you will have some amazing stories to tell in the future. Thanks lily. Ill substitute triple for fairly! This may get interesting! I sure wouldn't risk getting my head blown off for one of the nastiest, most dictatorial heads of state currently on the world stage. You are so welcome J-P.
Bonny, Erdogan was on vacation. Wouldn't you know. Ah, but throughout history, that's been a traditional cue for coup-launching, Lily. You wait till your enemy is out of the capital......or even better, out of the country. We are hearing here that it is not quite a coup......yet. I wouldn't count on anything right now, LL. It's only seemingly over because the military didn't open fire on all their fellow Turks that were called onto the streets by Edrogan. And he's such a PoS, he's going to take revenge on the plotters. I make no secret of the fact that I detest Edrogan, and have done for a long time; I would like nothing better than to see him thrown out of office, and Turkey returned to a secular state. Oh, I must be psychic. I do hope all those in the UK who are clutching their pearls because of the word 'coup' are aware of what an anti-democracy, pro-terrorist, power-crazy religious fundamentalist Edrogan is? 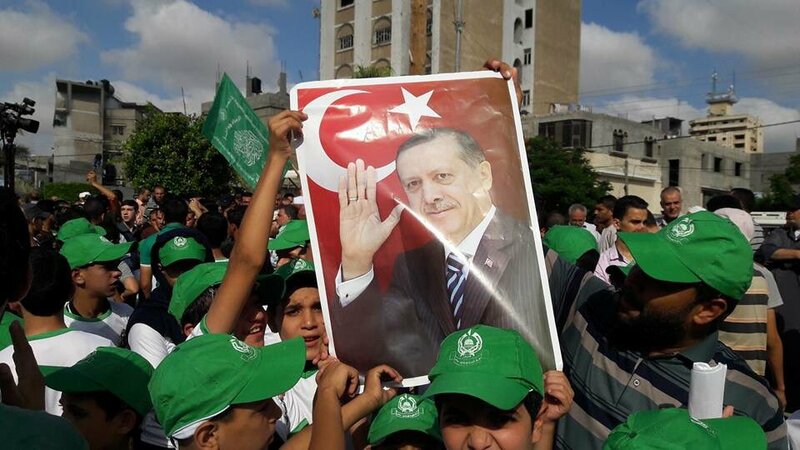 Hamas congratulated Turkish PM Erdogan for success against attempted military coup. Rallies held in Gaza. See 'Gunpower Plot' for how this one works out - there's nothing new under the sun. I know, LL, women in Turkey had enjoyed decades of freedom and acheivement - and he's putting them back in those damned headbags, and worse. And has everyone forgotten Edrogan demanding GERMANS be arrested for writing rude poems about him? Challenged to submit a poem, the Mayor of London made one up on the spot - and his limerick won the competition. 'But he didn’t even stop to thankera’. Some 2,839 soldiers, including high-ranking officers, have been arrested over an attempted coup that is now over, says Turkey's PM Binali Yildirim. In a night he called a "black stain on Turkish democracy", he said 161 people had been killed and 1,440 wounded. Explosions and gunfire were heard in Ankara, Istanbul and elsewhere overnight and thousands of Turks heeded President Erdogan's call to rise up against the coup-plotters. It is unclear who was behind the coup. President Recep Tayyip Erdogan blamed a "parallel structure", in a clear reference to Fethullah Gulen, a powerful but reclusive US-based Muslim cleric whom he accuses of fomenting unrest. However, in a statement, Mr Gulen rejected any suggestion he had links to the events, saying he condemned "in the strongest terms, the attempted military coup in Turkey". Some 2,745 judges have also been dismissed in the wake of the coup, state media say. There are 41 Birmingham teachers and schoolchildren stranded at Ataturk Airport. Oh Lord, I can think of better places, and times, to be stranded, LL - I hope things stabilise quickly, though I would suggest this is the end of Turkey as a holiday destination? end of Turkey as a holiday destination? IMO, it's not really the Turkish military that are the problem, LL, it's the increasing islamification of Turkey. What western woman in her right mind would want to go to a country that is encouraging such backward attitudes? How could you feel safe? And don't forget, Russians previously spent mega-bucks in Turkey - they've gone elsewhere, too. Someone in my own circle works in Turkey on a regular basis. It is well known that Erdogan wants to be Dictator of the entire region. A shiver ran down my spine when I read that he would treat the people involved in the failed coup mercilessly. I kind of doubt that because he is going to need a military. Maybe he will humble them so they will feel like kissing his shoes? Turkey is in for a rough ride for quite a while. I'm so glad I vacationed there in the past as I don't think I will any time soon. It's a chance worth taking for lone travellers, who want to see historical sites, etc, but for people who just want a nice family holiday in the sun? No, not a chance I would take, personally. Yes, Bonny, I could do that if I wanted to but until things calm down I don't think I will. I wonder how J-P's family are doing at the moment? Incidentally, that is a really good article in the Independent that you posted. Very worthwhile. I am so sorry. I did hope that The Coup would work. But don't ask me why because I have no idea. Just gut instinct, which isn't actually one of my strong points.